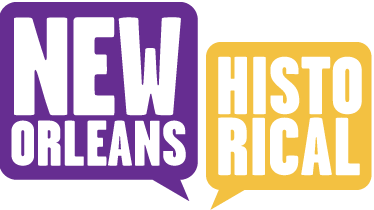 Only the alternative newspaper the Vieux-Carre Courier editorialized against the horrible visual and written representations of the fire victims; the mainstream media quickly lost interest and little else was published about the fire and the ensuing investigation. One of the most likely suspects in the arson investigation later committed suicide. The crime has never been officially solved. 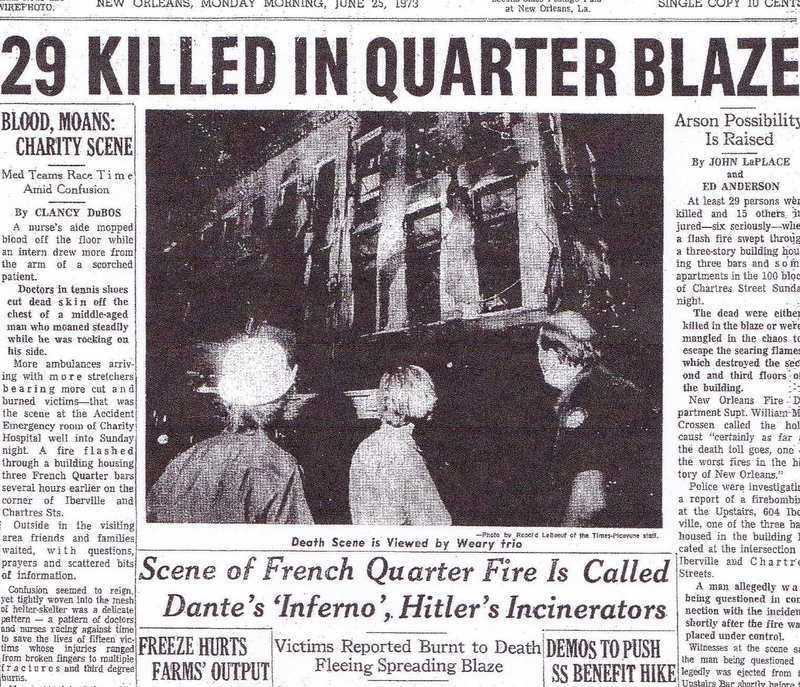 "29 Killed in Quarter Blaze," Times Picayune, June 25, 1973.: An example of the newspaper articles that covered the fire with insensitivity to the victims. Courtesy of the Times-Picayune. 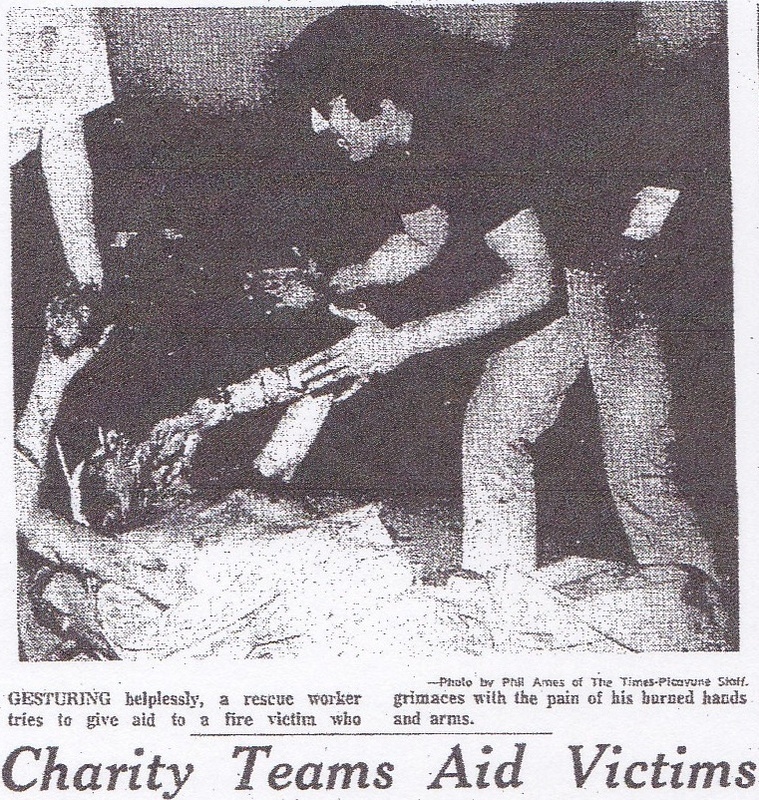 "Victim Sits with Burned Hands," Times-Picayune, June 25, 1973.: Media outlets published images of the victims with little regard for their privacy. Courtesy of the Times-Picayune. 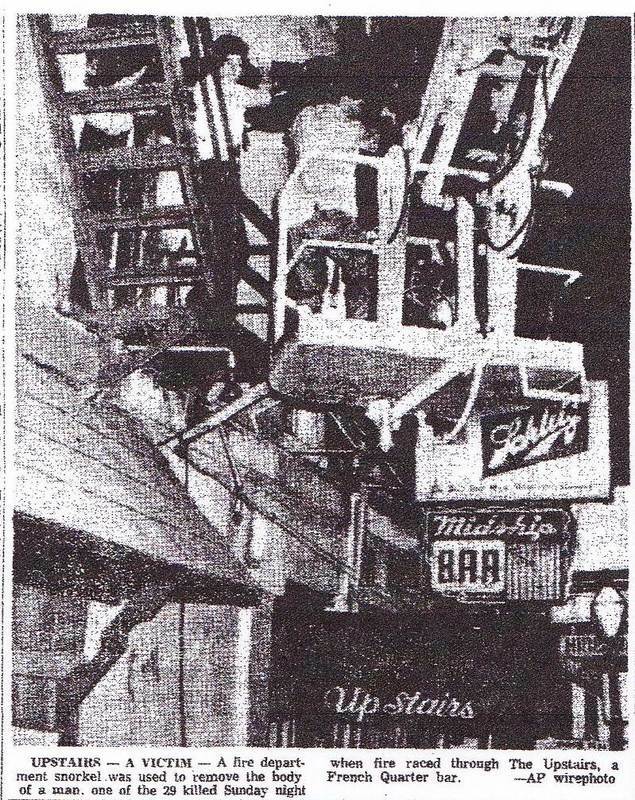 "Upstairs - A Victim," Times-Picayune, June 25, 1973.: Image depicting the removal of victims from the Upstairs Lounge. Courtesy of The Times-Picayune. 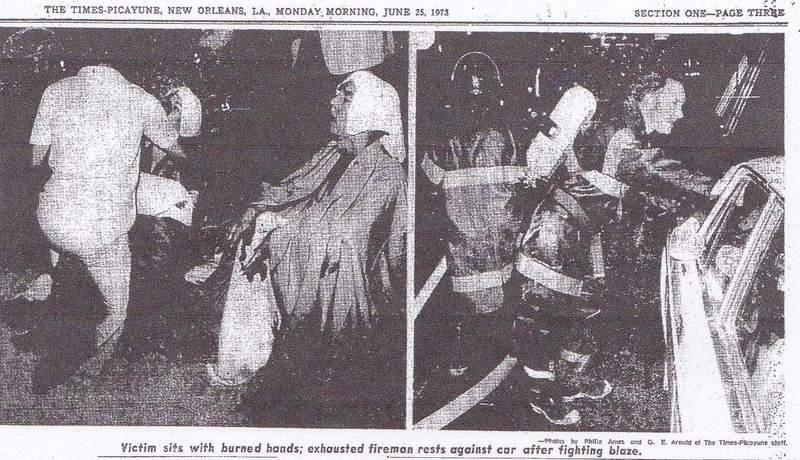 , and Charlotte Willcox, ed., “Upstairs Lounge Fire, 1973: News Coverage,” New Orleans Historical, accessed April 24, 2019, https://neworleanshistorical.org/items/show/517.